﻿ Walking through a tunnel entrance into the small venue of Gorilla (which looks very much like the opening scene of School Of Rock) full of eager fans of all ages waiting to see their favourite double act creates an ecstatic atmosphere from the start. Support act Scott Quinn (7) edges the audience into the night with his dreamy vocals and piano solos (which sound much better live than on his singles). As well as playing known favourites such as Know Me and From Afar, Scott shows his passion with an emotional tribute to his friend who died from suicide with his performance of Young, silencing the audience with tears rolling down their cheeks as he shows his powerful vocal ability. The simplicity of vocals backed by a single piano shows Scott’s talent and ability to perform. Finishing with the upcoming single Run, he joins the audience to watch Aquilo welcoming any fans to come and chat to him in the break. Aquilo (9)’s performance, however, is simply mesmerising with their beautiful melodies, impressive vocal combinations and serene synthesiser magic. Opening with I Could Fight On A Wall sends the audience into a state of pure tranquillity followed by You Know Where You Stand showing Tom Higham’s impressive vocal range backed by Ben Fletcher’s mellow piano work and backing vocals. 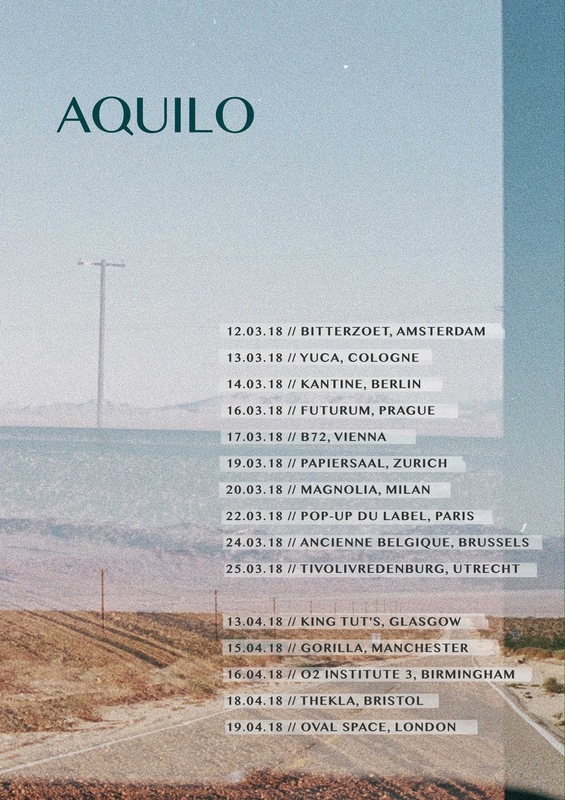 Performing a combination of their early singles and upcoming tracks, Aquilo’s setlist shows their stylistic variation between the tranquillity of You There, played without the band and the energetic performance of their new single Silent Movies with extended guitar solos played in perfect unison. Aquilo show their down-to-earth character with their humorous tour stories and witty banter with the crowd and each other as they perform Better Off Without You. With fourteen tracks played in an hour, the band leave the stage, returning almost immediately as the crowd’s cheers fill the venue to play the beautiful Silhouette. A flawless combination of Tom’s sincere lyricism and Ben’s instrumentation creates the perfect balance of profuse beauty and effortless execution. Aquilo leave their audience breathless by their performance, with both band members giving it their all and showing how they can take their tracks to a new level, played with greater depth and feeling than on their studio albums. A near-flawless performance on every level, showing exactly why they have gained so much attention and will continue to with another album announced for later this year.